It was under the bodhi tree in India twenty-five centuries ago that Buddha achieved the insight that three states of mind were the source of all our happiness: ignorance, obsessive desire, and anger. All are equally difficult, but in one instant of anger, lives can be ruined, and our spiritual development can be destroyed. Twenty-five hundred years after the Buddha's enlightenment, medical science tells us that the Buddha was right: anger can also ruin our health. It is one of the most powerful emotions and one of the most difficult to change. Thich Nhat Hanh offers a fresh perspective on taking care of our anger as we would take care of a crying baby - picking it up, talking quietly to it, probing for what is making the baby cry. 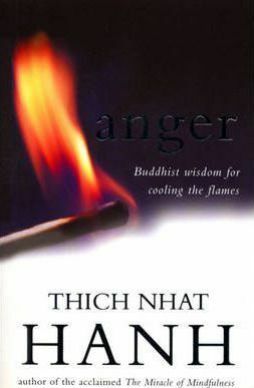 Laced with stories and techniques, Anger offers a wise and loving look at transforming anger into peace and for bringing harmony and healing to all the areas and relationships in our lives that have been affected by anger.